Debuted as a part of the Toryumon system and took part in the split with Ultimo Dragon to form Dragon Gate but left in a month becoming a freelancer and eventually member of the Pro Wrestling NOAH roster. 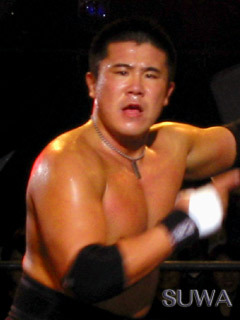 Retired in 2007 but returned as a referee before returning to the ring as MAYBACH Taniguchi Jr. This page was last edited on 29 March 2015, at 20:45.